One of my biggest complaints with BirdsEye is that it doesn’t allow you to submit your observations to eBird but the designer’s state that it will be included in future updates!! I sure hope they don’t charge us for this update!! I also don’t like the fact that I paid $19.99 for an application and then required to pay another $19.99 for additional text, songs, and pictures for 377 more species. 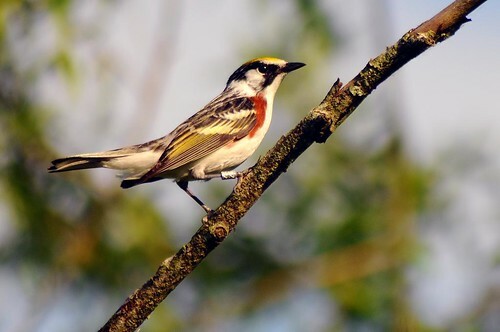 They do however provide you with species descriptions by Kenn Kaufman, VIREO photos and bird vocalizations for 470 of the most observed North American Birds. The selling point of this phone is the use of the iPhone built in GPS and google mapping system in locating birding hotspots with the eBird datatbase! I plan to use this features on my Texas trip later this month! How this feature works is the application tells you which birds had been seen in a particular area and when they were last observed in that area! You can also use this application in locating the nearest sighting of a particular species (for improving your life list)! I consider this an expensive application but it does work as advertised! It is amazing what technology brings us and this is for sure what most birder will be using here soon! Photos . . . sounds . 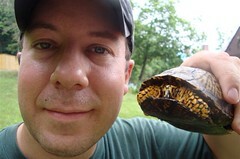 . . exactly locations to every species in North America . . . . all at your fingertips while out in the field! If you don’t own an iPhone . . . now is the time to purchase one! EDIT another thing I don’t like is that it only let’s you see birds in hotspots which cuts back on the number of other important reports that could be listed!! I hope this is something that can change!! eBird reports in big cities are good but in the country these reports are very limited!! As a result these reports don’t show up on the app making it not as useful as it should be!! This entry was posted on 6 December 2009 by mon@rch. 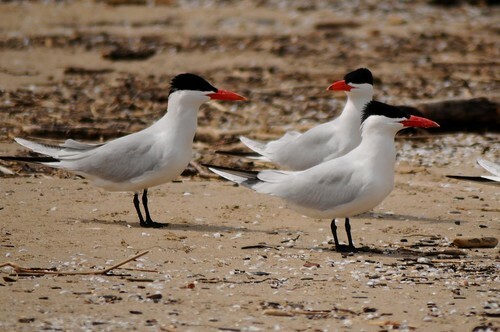 It was filed under Birds, migration, Nature, Ornithology, photography and was tagged with App, Application, birding, BirdsEye, ebird, finding nearby birds, google maps, GPS, hotspots, iPhone, Review. My friend here just got an iPhone. I will need to forward this to them. Thanks for the great review! I’m one of the developers of BirdsEye and I’m thrilled that you took the time to review and write up our application. Thank you. We are hard at work developing uploading of observations to eBird and don’t worry it will be a free update. We wanted people to see the app even before they could upload observations. Right now we show observations at public hotspots. We wanted to show people really good birding spots and not send them onto private land, but we’d love to hear feedback and suggestions about this. Our tiny company really would like to hear from you. Our mission is to build tools that help you see more birds. you can reach our company at: support@getbirdseye.com (we respond to everything in less than 24 hrs) or me personally at carl@birdsinthehand.com. Great review Tom and I’m pleased to see that the developer responded here also. Shows me they care about their app and customers. 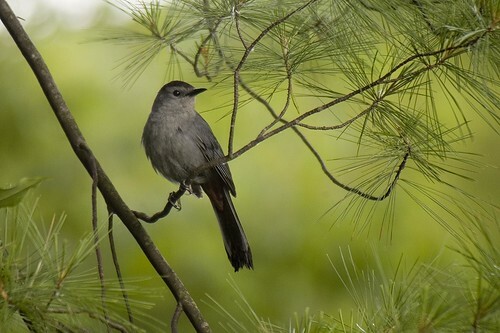 Your catbird picture is one of my favorites. I’m happy to see it again. Beautiful pictures, as usual. 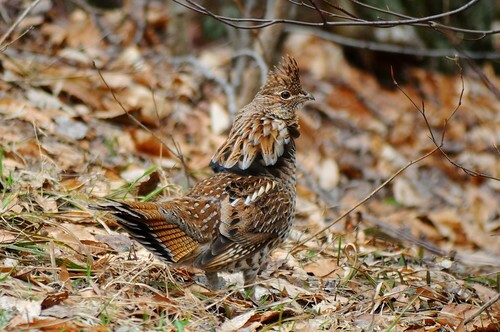 One look and you can see why people call them “ruffled” grouse! Thanks for an informative post, Tom! Just got an Ipod Touch and have been holding off on purchasing the BirdsEye app for the reasons you stated even now after a year. I’m not sure if its been updated since then but several reviewers have also complained about the timeliness of the reporting of sightings which isn’t the developers fault of course. It’s been a year now, what do you think? Are you using it? Did you use it in Texas? Because the Touch doesn’t have GPS I’m also leery of it’s usefulness in anything but urban settings crawling with WiFi. Michele, I sent you a personal email about my thoughts but figured I should respond for everyone else to see. Not having people use eBird is a big downer for this application but I do like it very much and you can be sure we used it at every city that I visited in Texas (and down to Texas). I did get iBird for xmas from the kids and after using birdseye . . . I know I would use this app more than iBird due to the data changes where you go with this app and not with iBird. But my review of iBird is for another post. Can’t comment on the iTouch features but with the iPhone it is VERY handy as long as users use eBird. Thanks for everyone’s comments here!